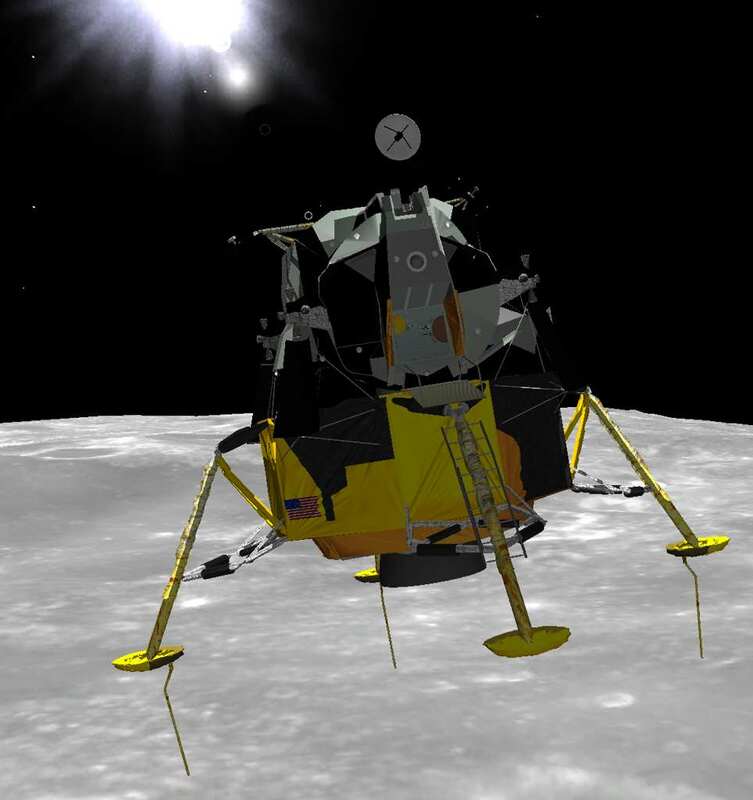 Eagle Lander 3D (EL3D) is an authentic simulation of the Apollo lunar landings. EL3D includes accurate renditions of scenery, flight dynamics and the lunar module. Currently EL3D includes Apollo 11,12, 15, 17, a LM racing course and orbital operations including rendezvous and docking. Other missions can plug-in.